Just to refresh your memory, at the 2009 Detroit Motor Show, the German automaker Volkswagen (VW) displayed its BlueSport roadster concept. Unfortunately, not long afterwards, VW postponed the project. Some early reports mentioned that the reason production of the roadster was postponed was because the German automaker didn't see a business opportunity for the model while I would say otherwise. The car looks attractive and that, alone, should be able to attract quite a few customers already. Add that with quite an affordable price tag for a roadster, you may be surprised by the number of people interested in spending their cash on the model. 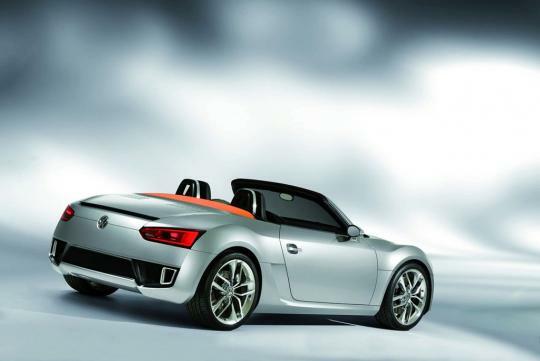 Yet, rumours have been swirling on the internet with some still believing that the roadster will finally come to life. I, for one, would like to see the open-top model comes into production. Despite the various rumours on the World Wide Web, there's now a bigger chance that the VW BlueSport will actually hit our showrooms within the near future. At least, this seems to be what Walter de Silva is trying to tell us, although not so explicitly. 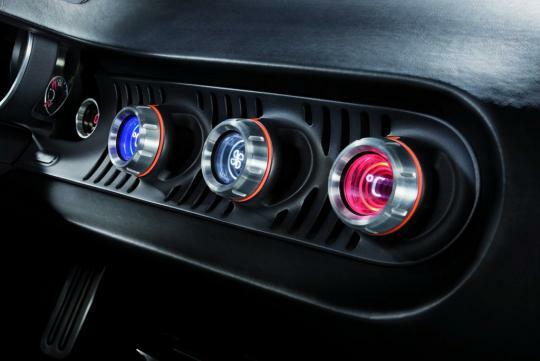 The VW Design Chief told AMS, "I'm not the only one in our company who is convinced that a small roadster wouldn't be the worst thing for Volkswagen. This is a vehicle that we particularly like, and we always have in mind." Well, I agree with you, de Silva, I like the open-top very much, too. Therefore, it's nice to know that there're still some insiders in VW that would like to move on with this particular project. 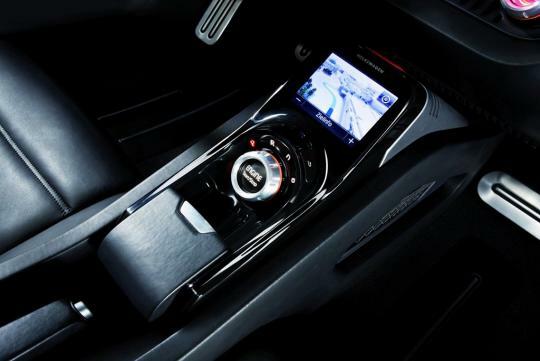 Moreover, it was confirmed by one of the German automaker's spokesperson. 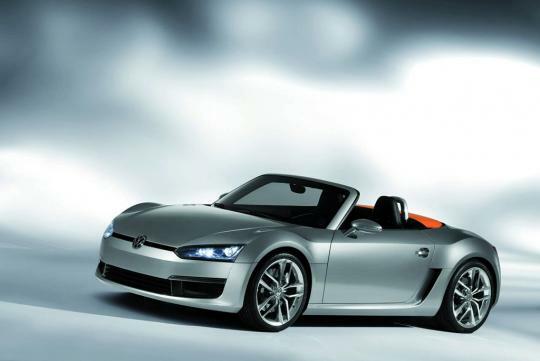 Just in case you can't really recall, the VW BlueSport roadster concept carried a 2.0-litre four-cylinder turbocharged diesel engine when it debuted at the 2009 Detroit Auto Show. The engine is good enough to spit out 177bhp in addition to 349Nm of torque. Volkswagen claimed that the fuel consumption of the roadster could reach 23.2km/L, which is quite efficient in my opinion. The company also mentioned that the car would need only 6.6 seconds to reach 100km/h from a complete standstill. Also, expect no less than 225km/h when it comes to the top speed of the car. Given its model and engine specifications, I'd say the BlueSport concept may well be slotted under such brands as Porsche and Audi. Yet again, perhaps it doesn't really matter as both the brands belong to VW as well. Now that the VW BlueSport roadster may finally come to life, here's hoping that VW won't forget to ship the model to the showrooms here in Singapore as well. By the way, the roadster is estimated to cost around USD$30,000 (around S$37,000). As I said earlier, it's quite affordable for a roadster, isn't it? The only drawback so far that I can think of about this roadster is probably its roof. 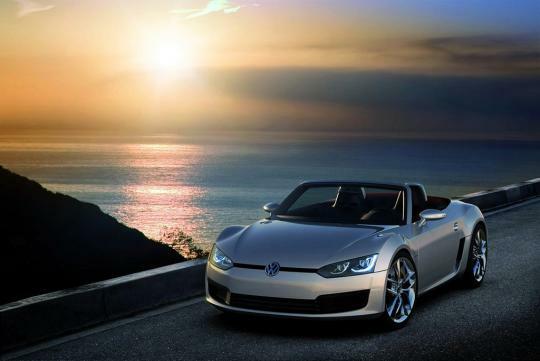 I think it would have been better if VW applied a hardtop, but perhaps, the softtop is a better solution for the current estimated price tag of the roadster.